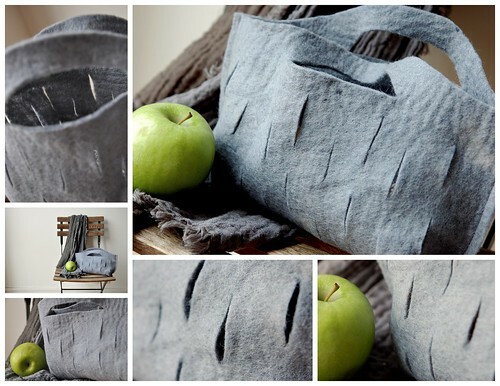 Here's another take on the very same bag - a "slashed" felt purse. And just like the T-shirt grocery bag this one's really easy to make too. A perfect little purse to take to the park, with an apple, a book, some sunglasses and sunscreen tucked inside.